I’m a little late with this post. I have no excuse. My laptop broke and I just didn’t feel like sitting at my desktop to write up the reviews. I’m still on track with the 2013 GoodReads Challenge. I did read a non-running book this month – Country Driving by Peter Hessler. It’s his third book on China which chronicles his experiences driving across rural China, living in a village, and getting to know the individuals in a factory town. I have yet to read his first two books, but I am planning on reading them since I really enjoyed this book. Country Driving is divided into three sections that discuss the impact China’s changing economy has on its citizens. He infused history with anecdote and personal stories of the Chinese citizens he got to know while he was there. There is a lot of information packed into this one book, but it was presented well and was a very enjoyable read. Through Hessler, I felt like I really got to know the families and individuals in this book. I only wish he would write a follow-up book, as I would love to find out what happened to everyone. Chi Marathon by Danny Dreyer was interesting. The thought of running pain-free appeals to me. Not that I’m in a lot of pain when I run, but sometimes the sciatic nerve in my right leg complains. It started complaining at the end of my second pregnancy, which was 10 years ago, and running sometimes aggravates it. I was curious to see if there was anything to Chi Running that could help relieve it. I already run in minimalist shoes, so I’m familiar with some of the techniques in the book, but there were a few new things that I learned. The book was a little woo-filled for me in the beginning. All the talk of blocked Chi and energy flow was a bit off-putting to my logical mind, but it had enough practical advice that I kept reading. For example, after reading the first chapter, I did one of the exercises in the book and realized that my right leg turns out slightly. I used the form focuses to try and correct this and it worked. More importantly, the sciatic pain I’d been having in my right leg lessened significantly. Unfortunately, after working on the form focuses for a couple of weeks, I ended up with lower back pain. I figured out that the “lean” they describe in the book was putting stress on my lower back. When I started running in a more upright position again, the back pain went away. Maybe I was doing something wrong. Maybe I need to be more patient. I might revisit it again after my half-marathon. I don’t think now is the right time to tinker too much with how I run. The book has gotten me more focused on better posture. It also helped my be more aware of keeping my right foot pointing forward and under my body when I run. If I ever find a Chi Running class locally, I’d be curious to try it out and see if was my error, or maybe this style of running just doesn’t work for me. I love Runner’s World. Every time I read one of their books, guides, or magazine articles, I feel like I can conquer anything. This book was no different. I didn’t read anything in it that I hadn’t read somewhere else already. But it is a nice collection of information and will make a good reference for this newbie. I’m not reading any running books right now. They served their purpose in motivating me and it’s time to move on. I’m currently reading The Mosquito Coast by Paul Theroux and Because I Said So! : The Truth Behind the Myths, Tales, and Warnings Every Generation Passes Down to Its Kids by Ken Jennings. 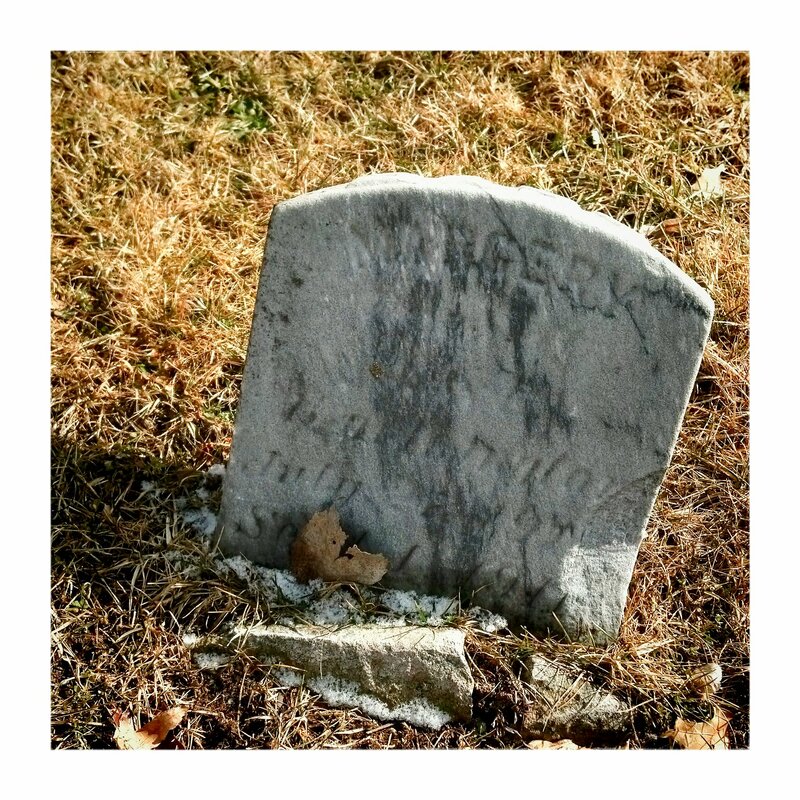 I realized this week that I run through a lot of cemeteries – really old cemeteries too. I don’t mean to, they are just on the way of my favorite routes. Even my favorite trail goes right past a historic cemetery in the middle of the woods. I do make a point to run through the one though. It’s at the end of my neighborhood route, and it gets me off the road and away from traffic. This week was much better than last week. It got off to a slow start, and I had to do some rearranging, thanks to a winter storm, but it ended with me finding my groove again and I finally learned to embrace my inner tortoise. Pace is the one thing I have been struggling with. I always start off too fast and then run out of steam half-way into my run. But by the end of this week, I settled into a pace; and the last two runs actually felt easy – just like my training calendar said they would be. Today I squeezed in a quick run to make up for a missed one earlier in the week. It ended in my favorite neighborhood cemetery. It was cold, but sunny and snowing all at the same time. The weather looks great this coming week, so hopefully I can get into a routine now. But I’m sure as soon as I do, winter will return.